Last year, 60 motorcyclists died on Czech roads. The police, in co-operation with bikers, have therefore decided to organize an event to reduce the number under the motto of “bikes down”. On the polygon in Loud Lhotse, motorcycle riders tried to ride safely and get to know the latest safety features. 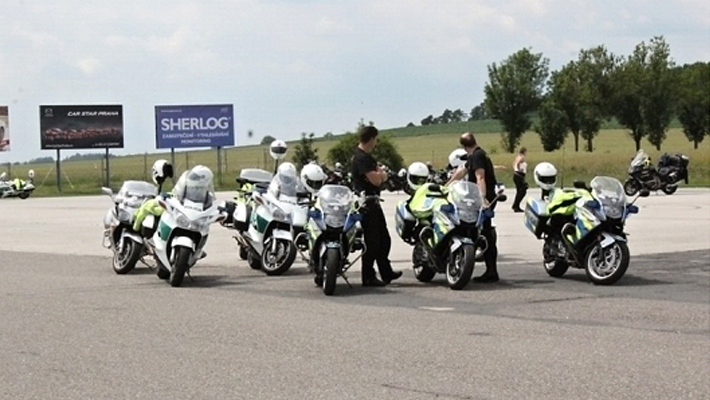 The Directorate of the Traffic Police Service of the Police Presidium of the Czech Republic, in cooperation with the Association of Training Centers for Drivers of the Autobahn of the Czech Republic, prepared a preventive action aimed at the safety of motorcycle drivers on the polygon in Loud Lhotse. The aim of the project was to present new safety features, mediate practical training and improve motorcycle drivers, above all to reduce the consequences and number of road accidents caused by motorcyclists and to educate all road users. “Interest was quite large, about two hundred bikers arrived, passed about 80 kilometers along the Abram roads and then on the polygon in Loud Lhotse prepared for them a program of driving skills, traffic tests, demonstrations of the latest safety features, because unlike car drivers , there is nothing but clothing with reflective tapes and many more, “said police spokeswoman Monica Schindler. Part of the program was also a showcase of news safety vests of the Police of the Czech Republic, which use protoplasm and to protect themselves from injuries in the fall of the motorcycle. “It is obvious that the safety vest works as it is, seals the hull and fixes the helmet, so that the bomber will save it when it falls,” Gavel Nonvoting of the Police Department of Krakow confessed with his feelings, who demonstrated the presence of the new vest with reflective fabric. In addition to the rides and safety features, a show of motorcycle and quad bike riders was also included, and they did not hesitate to involve the audience. The action has shown that motorcyclists should be aware that they are more vulnerable than vehicle drivers and even the best equipment is not a guarantee of a safe ride if a biker goes risky and does not adapt the speed of traffic, weather and traffic density. “Special care must be taken when riding, especially if there are foliage, oil spills, unevenness such as bridge joints, transition to another surface or cobblestones on the road,” the police spokesman said.